Gregg Marshall is an American college basketball coach who has been helping aspiring professional basketball players hone their skills in preparation for the biggest stage which is the NBA. Following years serving as an assistant coach at Randolph–Macon, Belmont Abbey, College of Charleston, and Marshall, Gregg Marshall got his first head coach job in 1998 at Winthrop. Marshall has set many records with the side and continues to improve his resume as the head coach of Wichita State University where he began coaching from 2007. Marshall was born Michael Gregg Marshall on the 27th of February 1963 in Greenwood, South Carolina. A 6 footer in his teens, Gregg played as a point guard for the Knights’ basketball team of Cave Spring High School in Roanoke, Virginia. He graduated in 1981 and went on to attend Randolph–Macon College where he was a member of the Sigma Alpha Epsilon Fraternity and continued playing basketball as a point guard. He graduated in 1985 with a bachelor’s degree in economics and business. Gregg then attended the University of Richmond from where he earned a master’s degree in sports management in 1987. 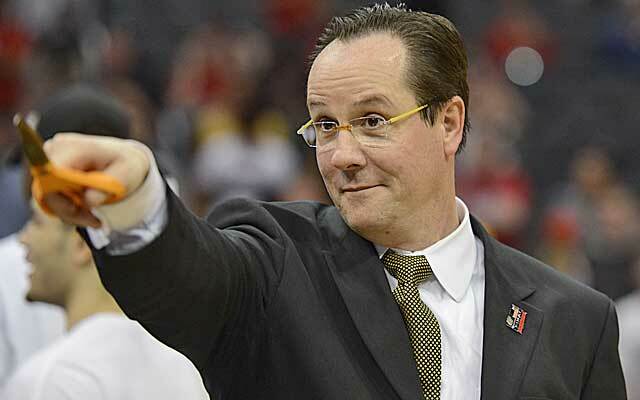 After graduating from college, Gregg Marshall began his coaching career as an assistant at his alma mater, Randolph–Macon. For the next 13 years, Marshall spent time honing his coaching skills at different programs across the nation. His first head coach job came in 1998 at Winthrop University. He ended his stay at the school in 2007 as the all-time most successful coach in Winthrop men’s basketball history. He won 6 regular season titles and 7 Big South Tournament titles. Marshall became the head coach of Wichita State Shockers men’s basketball team in April and has so far outdone his performance at Winthrop, successfully transforming the team from an also-ran team to genuine title contenders. With Gregg Marshall at the helm of Wichita State’s Shockers, the team has enjoyed a steady rise in its overall performance and the man behind it has been duly rewarded. His salary as the Shockers head coach was $1.8 million but after he led the team to the 2014–15 NCAA Division I Sweet 16, things quickly changed for Marshall. He came on the radar of many other top schools who quickly came knocking for his services bearing massive offers. One of those was Alabama who sent their then-athletic director Bill Battle to woo Marshall with a deal that started with a $4 million annual salary. It was tempting as Marshall frequently recalls but while he prepared to get on board a flight to go check out the Crimson tide, the wealthy backers of the Shockers called him up requesting for what it would take to keep him from making the trip. The result of the negotiation was a deal that raised Gregg Marshall’s salary to $3 million annually. And though it might be smaller than what Alabama had on the table, Marshall isn’t feeling it because as Forbes rightly pointed out, the cost of living in Wichita is quite low – about 10% below the national average making it possible for Marshall to live like a king in the small Kansas City. His yearly salary rose to $3.5 million in 2018 and would remain that way until 2022. Possible raises would be decided by the team’s athletic director. At that figure, Marshall is among the top 10 highest-paid college basketball coaches. Gregg Marshall’s contract comes with lots of bonuses with conditions that if met would make him stand to earn even higher. Those conditions include; $35,000 for 20 or more wins, $36,000 for each NCAA Tournament game, $60,000 for reaching the Sweet 16, $100,000 for the Final Four and $200,000 for winning the NCAA title. Additionally, he has access to two courtesy cars for business and personal use, membership at Flint Hills National Golf Club, Crestview Country Club, and Genesis Health Club. Six recruiting trips, charter jets for road games and a pool of $623,000 to pay three assistant coaches are all part of the deal. Gregg Marshall has since 1994 been married to his wife Lynn Marshall and together the two started a family that has produced a daughter named Maggie Marshall. 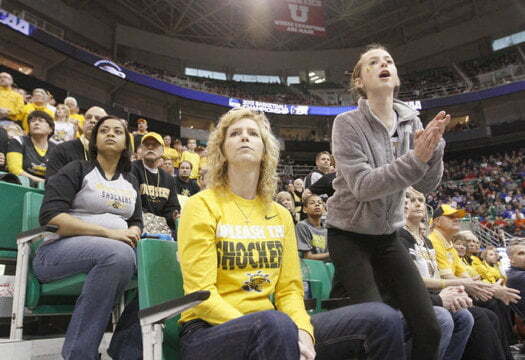 Gregg’s family have become a huge part of the Shockers and are often described as the team’s number one fan. They never miss a game and are always seen cheering the Shockers team on at the stands. Marshall’s wife’s passion made the headlines during a March 2017 game against Kentucky where she was escorted off the stands by a security guard. During intervals at the game, she had screamed obscenities and behaved inappropriately. The Shockers eventually lost 65-62. Lynn has loved basketball since childhood, playing in high school as well as for Maryland and Western Washington University.